Wilh. Wilhelmsen Holding ASA (WWH) delivered a substantial increase in operating profit year over year backed by a rebound in its shipping activities. WWH posted an operating profit of USD 57.7 million for the first quarter of 2011, up 31% from USD 44.0 million in the similar quarter of 2010 (corresponding period of 2010 hereafter in brackets). Total income amounted to USD 753.2 which is up almost 18% from 2010 (USD 639.7 million). "Compared with 2010, we have shipped 29% more cars and high and heavy cargo the first three months of the year. This affects earnings in the shipping and logistics segment positively," says Thomas Wilhelmsen group CEO at WWH. "In 2011, we have seen continued reduced activity in the Middle East trade, while other trades have held up well in a seasonally weak quarter. Increased bunker costs also affect our results negatively." In the first quarter, the operating profit for the maritime services segment was negatively affected by lower activity level in Middle East/North Africa following political unrest, flooding in Australia and increased cost due to a weak USD. "Underlying growth for the maritime services segment is positive, and several mitigating actions are pursued to overcome some of the challenges the segment has seen lately. 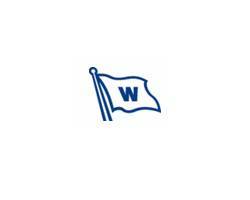 We also expect new products and solutions to create new revenue streams going forward," says Wilhelmsen. Net profit after tax and minority interests was USD 22.3 million (USD 8.8 million). Net financials was an expense of USD 22.8 million (expense of USD 38.4 million), positively affected by a USD 9.4 million unrealised gain from mark to market valuation of the group's interest rate hedging instruments (loss of USD 8.0 million). In April, WWH signed an agreement to sell its share in Australian Kaplan Investments in exchange for shares in Qube Logistics. WWH will hold an estimated 88 million shares in the company listed on the Australian Stock Exchange. 28 April, the annual general meeting resumed to pay NOK 3.5 as dividend per share. The dividend was paid 12 May. The objective is to have consistent yearly dividend paid twice a year. The board of WWH expects the development in world economy to continue, with positive effects for the group's business segments. Reduced export volumes out of Japan will impact shipping volumes short term. Continued unrest in the Middle East, depreciating USD and increase in bunker price may also prove to be challenging for the group's performance.